123ICT offer a comprehensive range of services to support the delivery of the computing curriculum. These include the termly computing competitions we run for schools and our popular curriculum blog for teachers. 123SOW is our scheme of work for the primary Computing curriculum. It is designed to challenge teachers and pupils to learn new, engaging computing skills and is entirely cloud based with video tutorials. Our challenges cover the whole primary computing curriculum and our drag and drop planner includes a coverage checker. 123HUB is our FREE resource bank for primary school teachers. It is designed to assist teachers in finding good quality online resources and each month we create a featured resource pack. There are over 2000 recommended website links which have been hand-vetted by experienced primary school teachers. Our 123SAFE service provides online safety advice and training. All our workshops and staff meetings use material that is CEOP approved and available via our 123SOW and 123HUB platforms. All 123ICT consultants are certified Google Level 1 Educators, with many staff holding the Level 2 qualification. In addition, our team includes Google for Education Trainers that can help your teaching staff engage with cloud computing through dedicated lessons or cross-curricular teaching sessions. 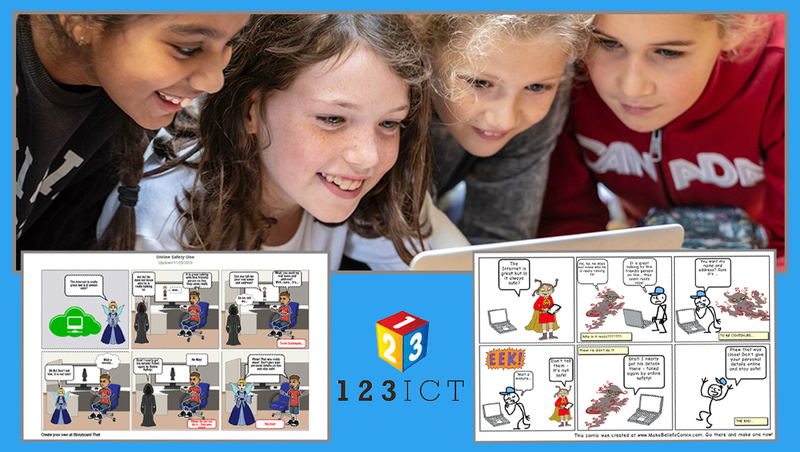 123ICT also employs specialist computing teachers who deliver regular classroom teaching as part of our contract with schools and academies. This can be arranged as weekly PPA cover or as classroom sessions alongside teachers as part of their CPD. Mental health and wellbeing are important aspects in our modern lifestyle. These resources will help teachers address issues arising in school.